Karen Briscoe is the creator of the transformative "5 Minute Success" concept. Her books Real Estate Success in 5 Minutes a Day: Secrets of a Top Agent Revealed and Commit to Get Leads: 66 Day Challenge® offer a combination of information and inspiration delivered through memorable stories. The daily format with take-aways to get into action propels one to achieve success at a higher level in business and life. Topics include: Commit to Get Leads; Consult to Sell; Connect to Build and Grow; Success Thinking, Activities and Vision; which all lead to the Sweet Spot of Success. Her first book was featured in INMAN as “must read for your best year in real estate” in 2017. Amazon ranks the book in the top 1% in its category. It has been endorsed by industry leaders Hal Elrod, Pat Hiban and Michael J. Maher. She is a contributing author to INMAN and Real Trends real estate media outlets. Karen is the host of the “5 Minute Success” podcast which has ranked #1 on Overcast most recommended in the business category. The show has an amazing array of guests who achieve success at a high level. Karen also is a frequent guest on other podcasts that focus on entrepreneurship, success and motivation, as well as real estate related topics. She speaks on a national and local level on the “Best of 5 Minute Success.” Further, she has completed the John Maxwell Team Certification Program for Coaching, Speaking and Training. What's the sweet spot of success? Doug Marshall is a seasoned commercial real estate professional. For more than thirty-five years, he has worked at mastering the art of commercial real estate investing while securing the best financing possible for his commercial real estate clients. During the last decade, he has also invested in rental properties throughout the Portland, Oregon area. Doug earned his MBA at the University of Oregon, and in 1999, he received a CCIM designation, which many consider to be the PhD of commercial real estate. In 2003, he founded Marshall Commercial Funding, Inc., a commercial mortgage brokerage firm located in Portland, Oregon. For thirty-eight years, Doug has been married to Carol. Doug and Carol are the founders of The Jesus Table, a weekly gathering for those in need of a hot meal and friendly conversation. They are also board members of Fairhaven Recovery Homes, a Christian-based ministry that provides transitional housing for alcoholics and drug addicts who are in recovery. In his spare time, Doug enjoys reading, blogging, golfing, and time in the hammock. For over 30 years, Rosie Bank has helped numerous people find true happiness and energy through nutrition and getting the bodies they want. She has worked with people from all categories of life, high-performing and high-level individuals, retirees and busy people who have given away power to afflictions that poison their bodies. She is a Board Certified integrative nutrition health coach, a certified nutritionist and wellness consultant through the American Fitness professional Association. She is also a nutrition advisor through the Sanotive Medical Institute. As an international speaker and blogger, Rosie runs the Health Matters podcast, where she talks about healthy eating for healthy living. She is also the founder of Health Matters coaching and an author of four books, with the latest being Health Matters- A guide to getting your body to love you back in fifty-two weeks. In this episode, Rosie teaches us how to take care of our bodies so that we can be able to invest better in real estate and achieve the kid of happiness and energy we deserve. With over 26 years’ experience in financing real estate projects totaling over $50 million, John Matheson offers us great insights into how we can get our own financing for real estate investments we are working on. As CEO of Commercial Loan Success (CLS), John has helped many investors analyze whether they qualify for loans through their intuitive loan software. Besides that, he is also a managing member of J.Healy Development, a company that specializes in making properties green and more sustainable. Go to Web.commercialloansuccess.com/bliss You can download chapter 2 of upcoming book “How to prepare you and your business for the lending process” + you get a link to a free demo of the software. You have to try this software! It's amazing! Matt Brauning is an accomplished speaker, mentor and coach. 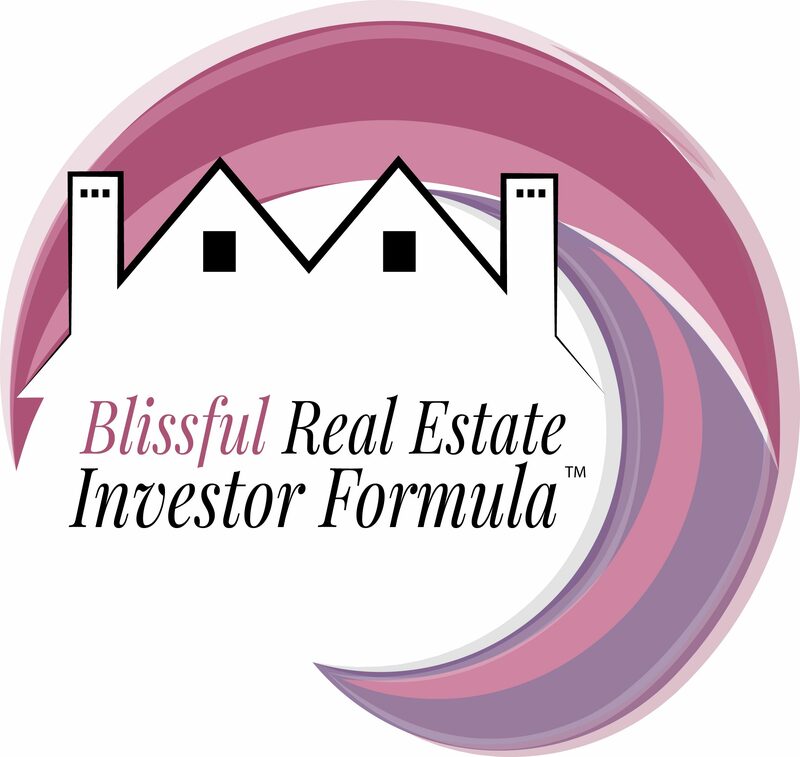 This episode is all about offering the best tips for investment to enable women to become successful in the real estate space. I’m excited to introduce Matt Brauning, a podcaster of the Purpose Driven Entrepreneur podcast, best-selling author of the book The Firebox Principle: The 7 Drives That Fuel Every Entrepreneur, keynote speaker and trainer. He is also a high-level consultant and master trainer of NLP, offering his services to Fortune 100 companies on how to cultivate the leadership culture. Some of his clients include John McAfee, the creator of McAfee Antivirus, Ron Welty, US Bank, The YMCA, New York Life, USC, The Point Church Network and Whittier Law School. He was also featured in the movie ‘The Journey’. He was a self-made millionaire by 25 years old. Matt has a wealth of experience, having learned from the best. Anthony Robbins was his mentor. He is also a well-connected and accomplished leader in the field of business development and human potential. As a real estate investor and mortgage broker, he has some great advice to give to women seeking success in real estate investing. Why is having a stable income important? Why should you go slow on new deals? Why should you take time to celebrate your wins? What do you do when you fail in your real estate investment? I love when the seasons turn from summer to fall every year, because it inspires change inside me. October is when I start researching markets, get financing lined up, and do all my preliminary work to buy my real estate. Winter is the time that I usually buy most of my properties. For me it's Shopping Season! Historically, the market seems to slow down a bit from Dec through Feb. It hasn't been that way for the last couple years, but I'm eager to start looking around this year again. What does the fall open up for you? What opportunities does the shift in weather and activity open up for your life ? What about the season puts a smile on your face? How can your real estate investing benefit from the shift in season?